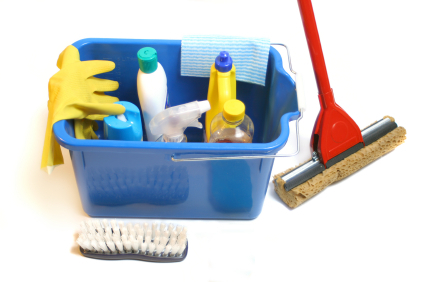 Is it just me or do you find the whole idea of “spring cleaning” silly? Now, don’t get me wrong. There are seasons to my household activities. For example, in spring and fall I do rotate the clothes in my too-small closet so that the seasonal items are in easy reach. I am also one of those people you might call a “serial redecorator.” In the seven years we’ve lived in our house I have painted my bathroom four times. My office is getting painted for the third time today (a lovely pinky-taupe color that sets off the triple crown molding). I’m seriously thinking about chucking the office furniture for something more airy and streamlined. I switch out linens and artwork somewhere in the house nearly every week. 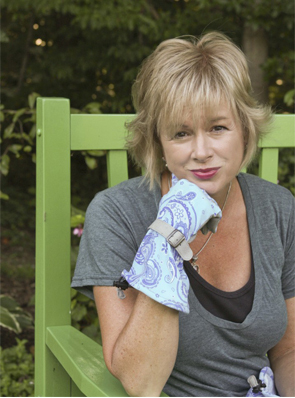 As the weather warms up, my redecorating naturally turns to the outdoors—creating new beds, sprucing up the garden furniture, raking, mowing…The list is endless, isn’t it? You might be concluding that I’m pretty much on top of the whole cleaning thing—and you would be right. So I am absolutely sent to the edge of screaming when I see some of these articles that assume that everyone is in need of a remedial class on keeping a decent house. That incredibly irritating magazine, Real Simple, must be for the simple minded or for those who need remedial lessons in housekeeping. Their website is featuring some of the most lame-brained articles I have seen yet on spring cleaning. In an article called “Streamlined Spring Cleaning Plan” they tell you to “forget what constitutes a ‘proper’ spring cleaning, and instead take aim at visible dirt.” The article is full of spiffy hints such as “If your blinds and drapes have reached the ‘do not touch’ stage, turn them over to a professional.” They go on to advise you to clean out your kitchen cabinets by first emptying the contents onto the countertop. Duh. Naturally, all of these helpful hints are accompanied by editor-picked products to help you do the job better. Why, oh why, do we need to read a magazine to tell us to call the hazmat team if our drapes are so disgusting that we can’t touch them? I’m thinking that the folks whose houses have reached the decontamination stage of squalor aren’t kicking back to read spring cleaning articles in Real Simple in their free time. Nineteen minutes. Apparently 18 won’t keep it sparkling like they promise. But 20 minutes is going overboard. Should we time ourselves to make sure we don’t over-invest in this whole house cleaning thing? Oh, wait. Apparently so. I see now that they very helpfully outline a minute-by-minute plan for those 19 minutes–4 ½ minutes for the kitchen, 2 minutes for the bathroom, 6 ½ minutes for the bedroom and 6 minutes for the family room, living room and foyer. In case you’re wondering by now if I need medication for my obsessive-compulsive housekeeping disorder, let me assure you that I think I have it under control. However, I might need a little something for when all those magazines and newspapers start publishing their spring cleaning articles. First, let me say that I am not a Martha Stewart basher. I was not among those who took glee in the fall ofAmerica’s Domestic Diva. I acknowledge that it seems that she can be quite, uh, mean-spirited and brutal on her minions. But I also recognize that she has made some significant accomplishments. She has created a huge empire from nothing. 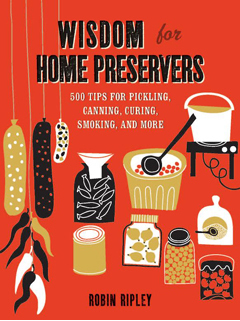 She raised homemaking to an art during a time when high-powered careers were more in vogue. I also think she has suffered mightily from some highly publicized personal embarrassments—an icky divorce when her husband ran off with her former assistant and a financial scandal that probably wouldn’t have meant jail time for most investors. So it’s not as a Martha-basher that I have decided to air my disappointments in her new garden. Frankly, I’m disappointed in Martha’s Fruitful Endeavors. 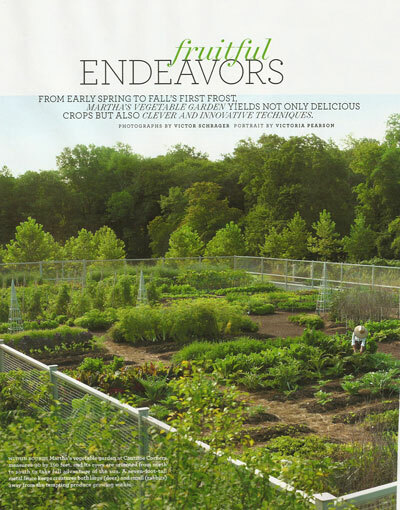 First, Martha has chosen to surround the 90 by150 feetgarden with a seven foot-tall metal fence that looks more like it belongs around her former prison home than around a vegetable garden on an “estate.” I understand the need for a fence of some height. After all, those white-tailed deer can leap tall buildings in a single bound, right? But why a metal fence? There are so much more lovely alternatives. 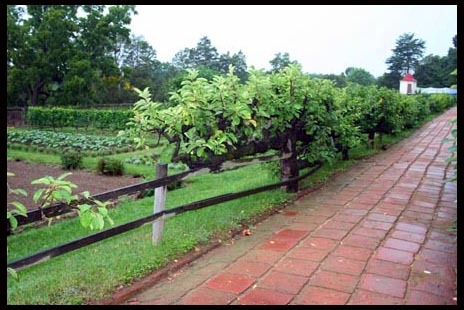 For example, how about the highly functional and also attractive fence surrounding the vegetable garden atMount Vernon? 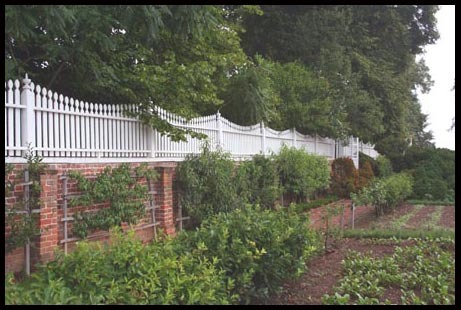 George Washington designed this beautiful fence with a brickwork base and picket fence top. Despite the fact that it’s over seven feet tall, it doesn’t look like a prison exercise yard. Rather, the fence adds architecture and grace to the garden. Why maximum results? As far as I know, she lives alone. Is she feeding a small nation army I’m not aware of? If not, why is she sacrificing beauty purely for the sake of “maximum” production? t seems that old George (Yes, George Washington again.) was feeding a heap more people, what with the slaves and all. His gardens seemed quite productive and also managed to be a place that you could tarry as well as toil. 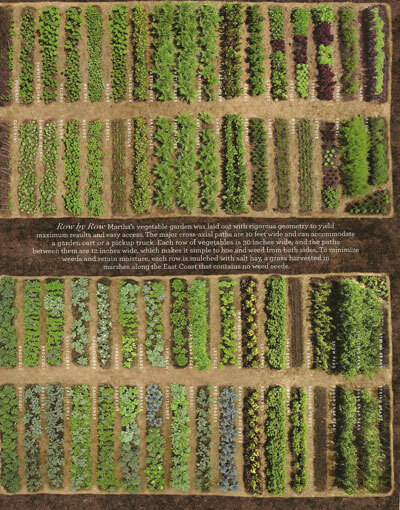 Why must a garden only be for work and production? Finally, I see NOT ONE SINGLE PLACE TO SIT in her garden. Surely she must have a lawn chair stashed somewhere that she drags out when the photographers go home, right? And you know I value a place to sit in a garden. Too bad about Cantitoe Corners. 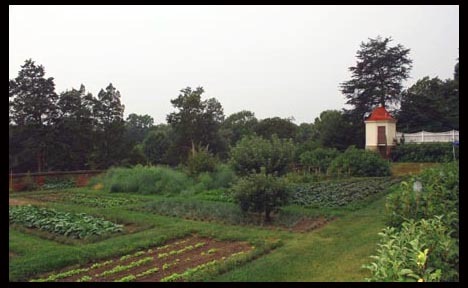 With Martha’s talent, money and hoards of help, her garden could have been something to rival the gardens of the likes of George Washington and Thomas Jefferson. I’m sorry so say, Martha has let me down.